What MyPhone Rio Fun Color Are You? People say that colors can describe the mood and inner personality of an individual. That is why, encouraging you to “Live Life with Color,” MyPhone has brought to the market the MyPhone Rio Fun. Available in differently colored back covers in blue, black, green, orange, red, yellow, and white, the MyPhone Rio Fun is designed to suit your mood and personality. Not only it gives you a good set of features for a reasonable price point, but it also makes your smartphone experience more personal. So do you want to own a smartphone that can represent your mood and personality? 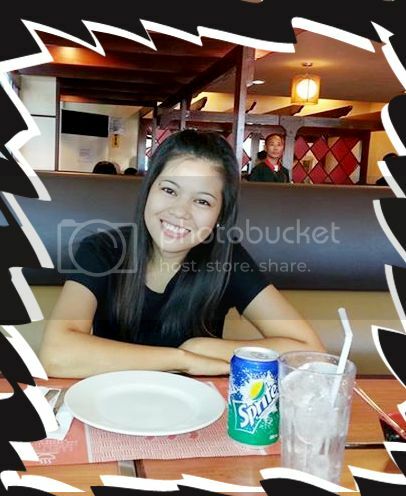 Join the What MyPhone Rio Fun Color Are You? contest and get a chance to take home a MyPhone Rio Fun smartphone for you to own! 1. The What MyPhone Rio Fun Color Are You? contest is open to Filipino citizens who are currently residing in the Philippines and are of legal age. 4. 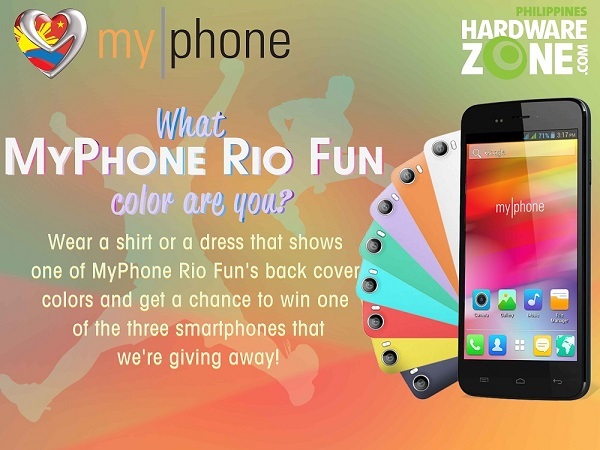 Wear a shirt or a dress that represents one of the back cover colors of the MyPhone Rio Fun (blue, black, green, orange, red, yellow, and white). Capture a selfie and upload it on the contest thread on HardwareZone.com.ph Forums. Participants may use Adobe Photoshop or any other image editing software to enhance their entry. Each participant is limited to one entry. 5. 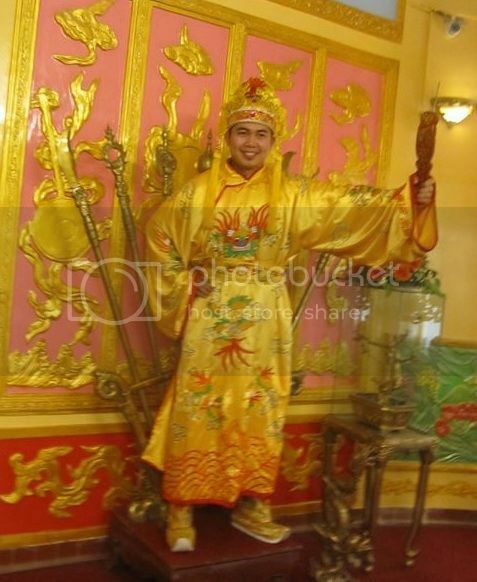 Add a caption by answering the question “What MyPhone Rio Fun Color Are You?” with an explanation. 6. Entries will be uploaded on a dedicated photo album on HardwareZone.com.ph’s Facebook fan page. 8. HardwareZone Philippines will announce the winner on HardwareZone.com.ph’s Forums and its social networking channels. 9. This contest is subject to SPH’s terms and conditions pertaining to contests and lucky draws. 10. The contest will run from June 27 to July 11, 2014. Blue. Blue colors always refresh me…. When i saw this color, it always remind me to continue in my life and never quit. this color always tell me that there’s always hope and GOD is always with me. BLACK. like the color black cuz its formal and elegant it looks like kc mahal pero hindi nman pala ang classy lang tingnan kay gusto ko black..
Last edited by meimi19; 27-06-2014 at 06:19 PM..
My MyPhone Rio Fun Color is WHITE.The simplest yet the PUREST. It is the color of PERFECTION. Because, for me, the color white can represent a successful beginning, depicts faith and purity. white also represent coolness and simplicity and encouraging the purification of thoughts and actions. MyPhone Rio Fun Color for me would be Definitely BLACK and RED. Black simply because people sometimes call me Mysterious, (always first impression on me x_x) and Red for this Lovely Photo. (My friends told me that i look good on this photo, Thanks to the Photographer from our Graduation Shoot) Thank you, hope you consider my entry! My MyPhone Rio Fun Color is BLUE because it is the COOLEST color. It represents peacefulness, serenity and spirituality. And for me feeling BLUE does not necessarily mean feeling sad or depressed. But in its deeper sense, it could mean you are one with God and with yourself to achieve a calm, serene and peaceful Mind and Heart. Just like the MyPhone Rio Fun, BLUE represents my individuality and personality. Yellow represents, my whole personality. Being cheerful and fun, happy and a giver, giving hope. It create enthusiasm for life and can awaken greater confidence and optimism. That’s me, color yellow. I favor the color of white simply because of its humble yet proud aura, which is basically what my personality portrays. There's "proud" there because all the other spectrum are mixed in this color with complete perfection that you could hardly distinguish one from the other. That is me, being very adaptable to different personalities that I encounter on a daily basis. Even the word "white" says a lot already; that is, W-wholeness in attitude, H-hopeful in new beginnings, I-impartial in judgment, T-truthful in confession and E-equality of approach. That is the color of white. The "Me" color. Green signifies peace and freedom. Thus, this color reflects my personality, wanting a peaceful environment always. 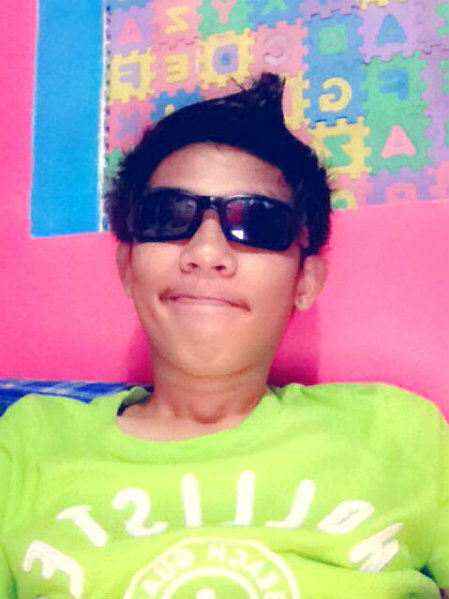 I am a guy that is eager to learn, having the freedom and love to learn new ideas. A persevering man that will do my very best to achieve what I want in my life: and that is SUCCESS. I also been considered myself as a sociable man, a friendly guy in town. Please re-upload your entry. We can't access it. Thank you! someone could help?how to upload a pic?what is that link? Last edited by darkskies22; 01-07-2014 at 12:15 PM..
1. You may upload your entry on Facebook. 2. Get the image url. 3. Click the "Insert Image" icon above. 4. Paste the image url. i prefer GREEN as it is the most restful color.hence,is an emotionally positive color, giving us the ability to love and nurture ourselves and others unconditionally.Green for i really loved nature..wanting for peace inside almost the time.it is really a comforting color of all.